The Centro Medicina dell’Invecchiamento (CEMI) of the Agostino Gemelli Hospital, Università Cattolica del Sacro Cuore is based in Rome. The CEMI was inaugurated in 1998 and since then it has been considered a unique environment in which care, research and education form an inspiring and stimulating continuum. The CEMI has operated as a natural laboratory for the Italian Ministry of Health and for the Ministry of Welfare, for its vision of an integrated approach to the problems of a rapidly ageing population. It is a seven-store facility with a 24-bed acute-care ward, an intensive rehabilitation unit comprising 46 beds, a day-hospital with 20 beds and an outpatient clinic including several specialised centres. Within the Centre on Aging is also available a fitness centre, an occupational therapy section, and a Memory Clinic. The CEMI occupies an entire building, which is physically separated from the main university hospital but that it is integrated, and networked with the entire campus. The CEMI is a fully computerised facility controlled by a dedicated system manager who runs a state-of-the art server allowing the necessary technological sophistication. In addition to the facilities on campus, the CEMI’s staff operates two large, hospital-affiliated, nursing homes, and a clinical centre. The staff of the Centre on Aging includes a number of high level scientists. Fifteen medical doctors hold tenure-track academic positions, fifteen have been contracted for patients’ care management, four are on a PhD program and there are over 20 fellows. Everybody has a MD degree, but many also have a PhD degree, and some holds a Master degree in Statistics or Public Health. Prof. Roberto Bernabei, MD, is chief of the Geriatrics Department of the A. Gemelli University Hospital. He is also executive vice president of interRAI, board member of EAMA, the European Academy for Medicine on Aging and member of the Consiglio Superiore di Sanità, the highest Italian sanitary advisory committee to the Ministry of Health and the Parliament, president of the Italian Agency of the Elderly, the Network Italia Longeva, funded by the Italian Ministry of Health and visiting associate professor at Brown University School of Medicine, Department of Community Health. Prof. Bernabei’s main research interests are in geriatric assessment, models of health services for elderly care, and geriatric pharmacoepidemiology. His research has demonstrated the cost-effectiveness of a home care service based on case management and the use of a comprehensive assessment instrument in decreasing hospital admissions and length of stay. He published the book Geriatric Assessment Technology: The State of the Art with Lawrence Z. Rubenstein. He also is a co-author of the InterRAI instruments, and has authored over 200 papers in peer- reviewed journals, four books, and eight book chapters. 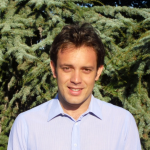 Graziano Onder, M.D., Ph.D. is a Geriatrician working as an Assistant Professor at the Department of Geriatrics of the Università Cattolica del Sacro Cuore, Rome, Italy. Dr. Onder has previously worked as Research Associate at the J. Paul Sticht Center on Aging, WakeForestUniversity, Winston Salem, NC, USA (2001-2002). He is Fellow of the European Academy for Medicine of Ageing. The main focuses of his research are pharmacoepidemiology in the elderly, including assessment of prevalence and risk factors for adverse drug reactions and inappropriate prescribing in the elderly, sarcopenia and its impact on clinical outcomes, and organizational characteristics of health care systems. He received grants from public and private institutions including the Italian Ministry of Health and the European Commission through the Seventh Framework Programme (FP7). He is author of more than 150 publications in peer-reviewed journals. Davide Liborio Vetrano, M.D., is a fellow in Geriatrics at the Department of Geriatrics of the Università Cattolica del Sacro Cuore, Rome, Italy. In 2009 Dr. Vetrano spent a training period at the Cardiology Department at the Hammersmith Hospital, Imperial College, London. In 2012 he attended the interRAI Summer Program for International Research (inSPIRe) at the University of Waterloo, Ontario, Canada. His clinical interests are: internal medicine, cardiology, echocardiography and other instrumental cardiovascular assessments. His main research topics are: pharmacoepidemiology in the elderly, frailty, quality of care, cardiovascular risk factors and prevention, echocardiography application in onco-geriatrics and non motor symptoms in Parkinson’s disease. He currently works, basing his research, on large epidemiological databases as the SHELTER and the CRIME. 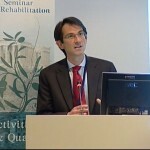 In 2012 he was awarded with the title of Young Italian Researcher in Geriatrics by the Italian Geriatrics Society.